Your Chemical Sensitivities Are Often Connected To A Gut Inflammation. In Her Heal Your Gut Book Lee Explains How To Live A Detoxed Life. Living a Detoxed Life Free of Chemical Sensitivities: Using Only The Safest Cosmetic and Cleaning Ingredients To Heal Your Gut Inflammation, Sensitivities and Allergies . Phase four talks about using only the safest cosmetic and cleaning ingredients to help you further heal your gut inflammation, sensitivities and allergies. This is another area in which Heal Your Gut stands apart from other books in the genre. Many competitors are content to focus only on what you put in your body, forgetting that oftentimes what you put on your body is just as important to be mindful of. Lee urged readers to go one step further once we’ve healed our guts and start detoxing our surroundings as well. This includes our emotions, our homes, and our skincare regimes. Advice ranges from simple suggestions such as spending more time outside and surrounding yourself with positive, supportive people to more in-depth recommendations such as chemical-free skincare. I think we all know on some level that surrounding ourselves with chemicals has a negative impact on our health. Many times when we are out in public we have very little control over what we are exposed to, which is why it’s all the more important to be vigilant in our own homes. It would be difficult to achieve a completely chemical-free lifestyle, but by heeding the advice in Heal Your Gut, you can get a whole lot closer to that ideal which obviously will help with chemical sensitivities. Your home’s cleaning supplies are perhaps the easiest thing to tackle first; baking soda, vinegar, and lemon are the three main staples Lee listed for making your own toxin-free cleaning supplies. I love to add a few drops of my favorite essential oils to my cleaning solutions, too. One thing I had never considered before, however, was that furniture with certain finishes and materials could be releasing Volatile Organic Compounds (VOCs) into the home! I will certainly be paying more attention to this next time I am furniture shopping. Phase four has an abundance of suggestions for preventing emotional and chemical toxic exposure in our lives, and overall I found them to be as well-researched and helpful as the advice in the rest of the book. Creating more natural environment in your home can help you to heal your gut inflammation, chemical sensitivities and allergies faster and with less side effects. I consider this book a must-read for anyone suffering from all sorts of allergies, chemical sensitivities and gastrointestinal issues or even anyone who simply wants to clean out and reset their gut flora. All of these health issues are connected and they are your body cry for help. You would be astonished how change in diet can alleviate many of your symptoms and transform your health for better. If you add less toxins in your home, in your cosmetics, in your garden... wherever you can - it all adds up and accumulates - in a GOOD WAY so your body can heal and support you well again. Regardless of how far along you are on your path to health, there is probably something new to be learned by reading this book. However, just as Lee herself was careful to mention, it is important that you also see medical provider (just make sure it's good and caring one with more holistic approach to find the root cause of illness not cover up the symptoms) if you are having serious issues. It’s important to be fully aware of your overall health situation as well. Lee's recipes are made with the healthy foods but can they really heal your gut inflammation, Can her detox your life advice help with chemical sensitivities and allergies? 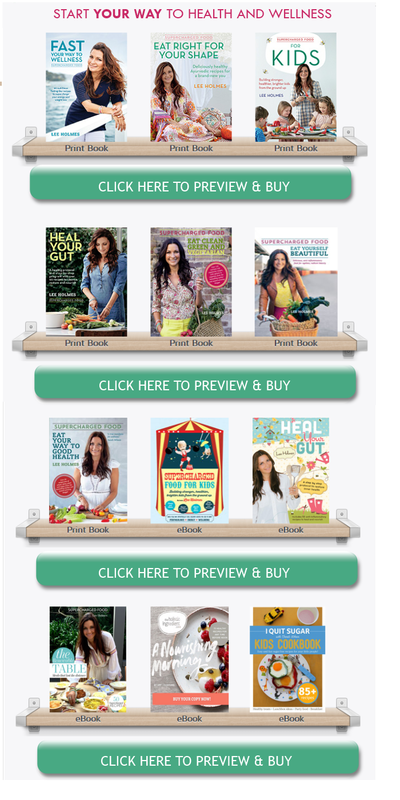 How the healthiest foods in The Heal Your Gut ebook really taste?